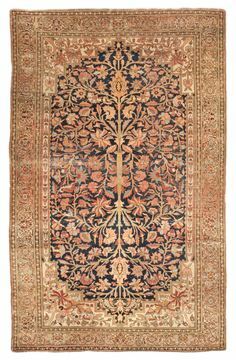 Persian carpets known as Farahan come from an area north of the city of Arak in western Iran, whose Persian rugs were arguably the finest and most renowned items made during the 19th Century. 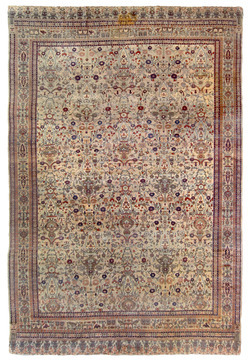 Elegance, reserved refinement and subtlety characterize work of this area. 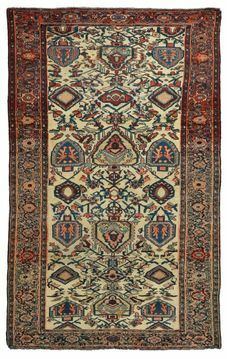 The effect is derived above all from the many variations of the Herati pattern.Sarouk is a name of a village situated about 25 miles north of Arak (Sultanabad). 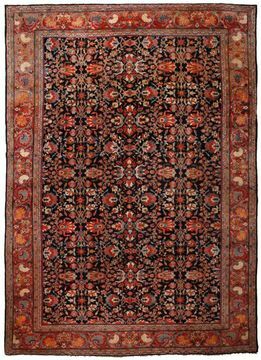 This region became one of the most active regions of carpet weaving in the late 19th Century through the early 20th Century. 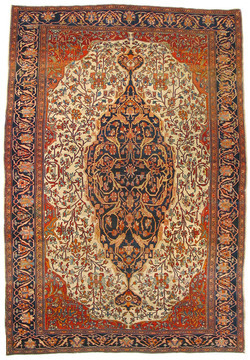 The city's most famous designer was named Farahan. 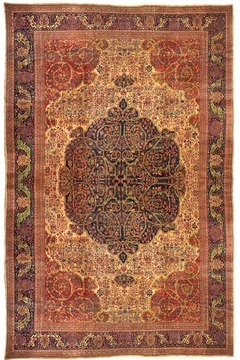 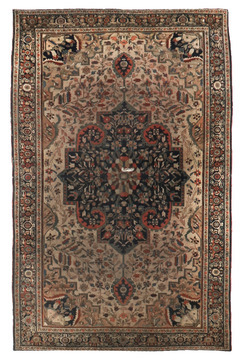 To be able to compete with Kashan in rug commerce, Farahan designed rugs with center medallion motives. 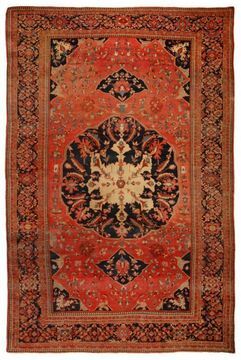 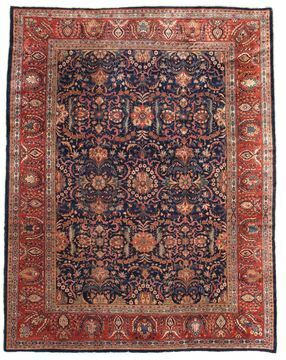 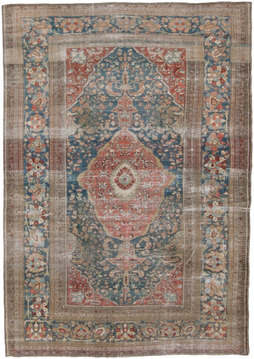 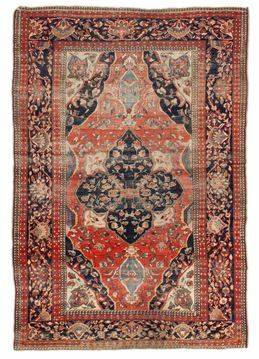 Today, these carpets are referred to as Antique 19th century Farahan Sarouks.In the 1920s and 1930s a well-known rug dealer in New York thought that Americans would buy rose-field carpets with blue borders and detached floral motives. 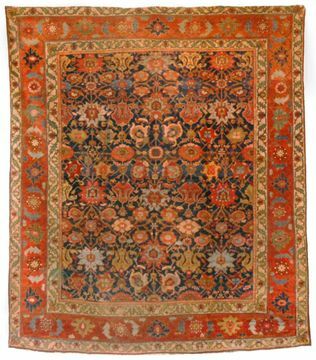 During that period, a vast number of Sarouks with rose-fields and all over floral patterns were woven and exported to the American market. 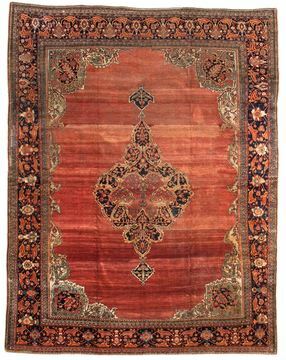 However, the natural dyed rose color did not stand up to the alkaline bath to which new rugs in Arak were subjected in the finishing process. 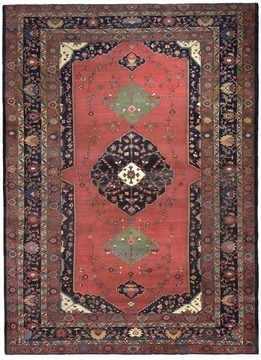 The rose color faded radically. 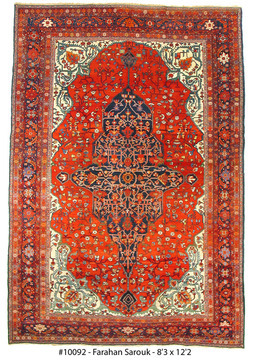 But instead of changing the finishing process or changing the composition of the dyes to stand up to alkali, New York merchants "solved" the problem by arming their staffs with synthetic dyes and little paint brushes with which they painted back in the rose-color in the entire fields of thousands and thousands of rugs and carpets over a period of 20 years. 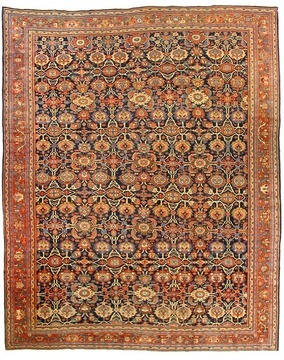 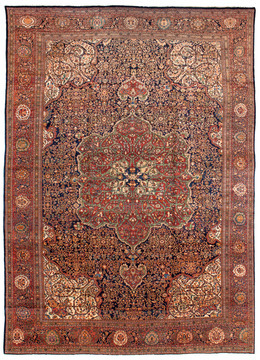 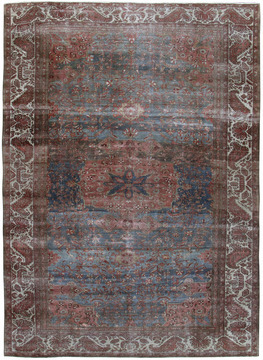 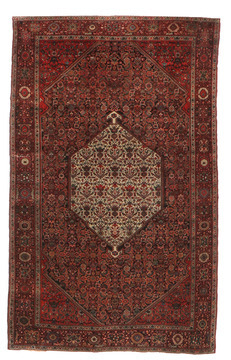 Today, Antique Sarouk rugs and carpets are among the most luxurious classically derived, room-sized Persian carpets.